It's so easy to get lost in the amazing builds that petrolheads do to their 20-year-old Japanese 'classics', but we often forget that there are gems out there that are cracking on for 40-plus years – these are the grandpa's of the modified generation and they deserve some respect. So, in saying that, let's take a look at this classic 1969 Datsun 510 owned by a guy named Norman who was looking to turn it into a racecar. And he loves it. The little Datsun has been fully customised with updates including disks all around, a new gearbox, a new exhaust system and a revised motor that pushes out 180hp at the wheels, which is plenty for a car that weighs almost nothing. The Roads Untraveled chaps on YouTube take it for a spin on some twisty back-roads and, clearly, they enjoy every minute. According to them, "This 4-door example has been modified extensively for the track and has accepted no substitute in the pursuit of ultimate driving pleasure. 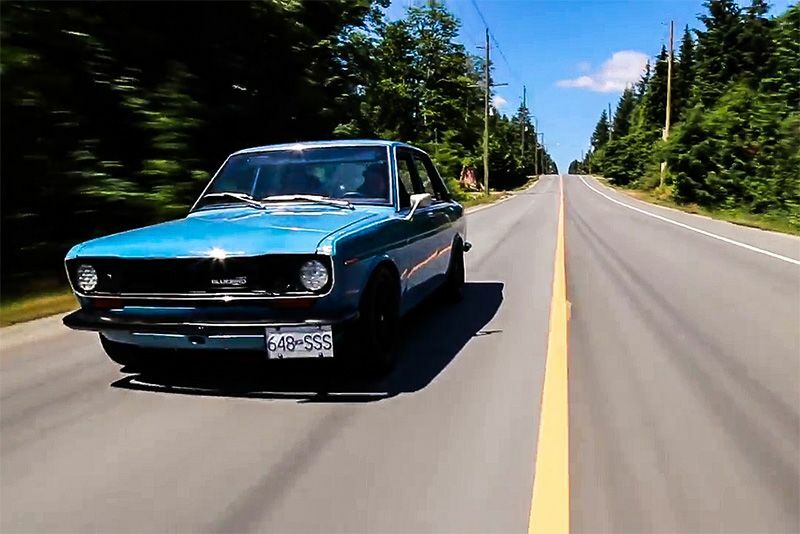 With a fully stripped interior, roll cage, racing seats, suspension, sticky tires, and a high-revving, period correct, N/A engine, this Datsun 510 is just about as good as classic motoring gets." Hit play and find out more about this awesome 1969 Datsun 510, and show some respect, dammit! Video: Players Classic 2016 In Glorious 4k.